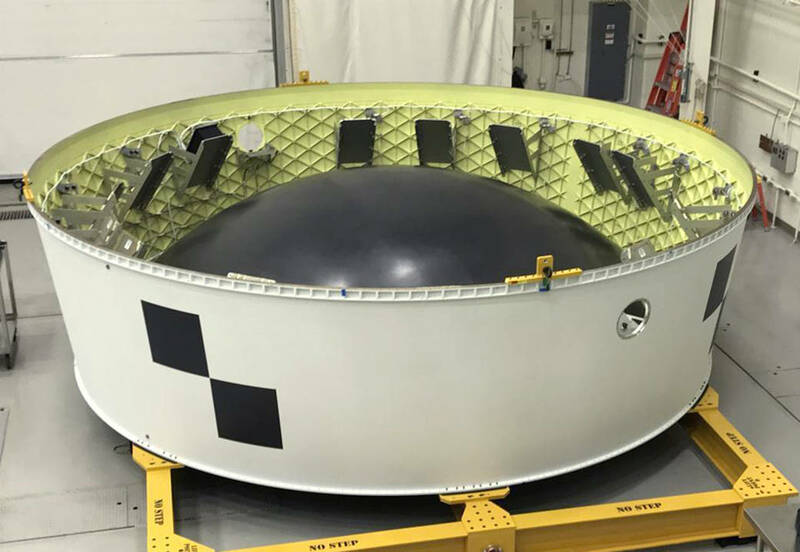 January 26, 2018 – The Orion stage adapter flight hardware for NASA’s Space Launch System has been outfitted and is ready to travel to the agency’s Kennedy Space Center in Florida, via NASA’s Super Guppy. 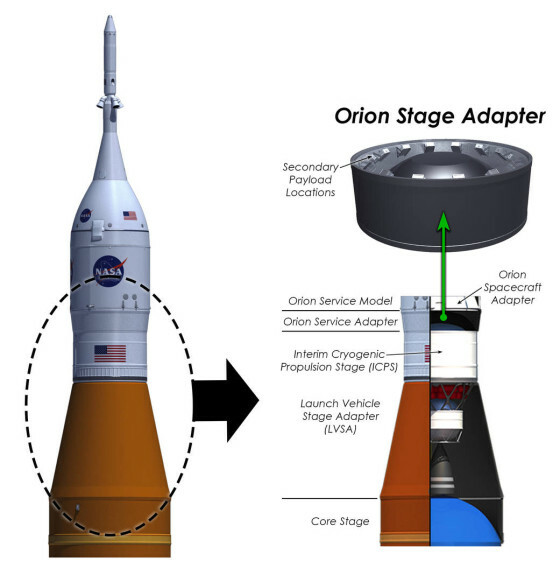 The adapter, built at the agency’s Marshall Space Flight Center in Huntsville, Alabama, will join Orion to the rocket’s interim cryogenic propulsion stage — a liquid oxygen/liquid hydrogen-based in-space stage that will give the spacecraft the push needed to go to deep space. If the SLS was dissected, the ICPS lies just below the Orion capsule, at the top of the SLS. On the first integrated test mission of Orion and SLS, called Exploration Mission-1, the ICPS will give Orion the big push needed to fly beyond the moon before the spacecraft returns to Earth. During EM-1, NASA will demonstrate the rocket’s heavy-lift capability and send an uncrewed Orion spacecraft into deep space. The agency will also take advantage of additional available mass and space to provide the rare opportunity to send more than a dozen small satellites, called CubeSats, to conduct experiments beyond low-Earth orbit. The square boxes inside the adapter are mounting spaces for 13 small satelites that will ride to space in the adapter and then deploy on their own deep space missions. These small satellites are designed to be efficient and versatile—at no heavier than 30 pounds (14 kilograms), they are each about the size of a boot box, and do not require any extra power from the rocket to function. The science and technology experiments enabled by these small satellites may enhance our understanding of the deep space environment, expand our knowledge of the moon, and demonstrate technology that could open up possibilities for future missions. 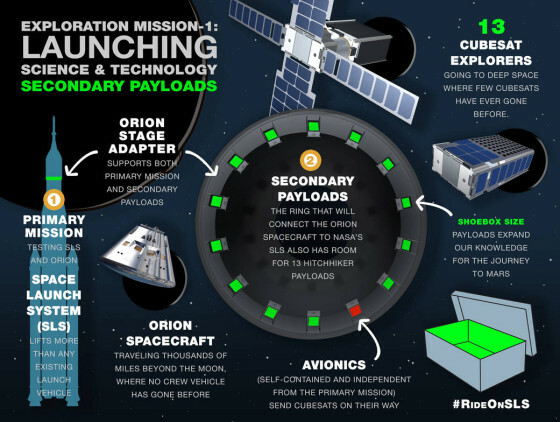 The CubeSats will be deployed following Orion separation from the upper stage and once Orion is a safe distance away.